Your smile should be something you love and cherish forever, which is why we the iTero digital impression system by Align Technology for our patients. This digital scanner allows us to take precise digital images of your teeth, bite, and jaw, so that we can create a customized plan that meets your specific needs and desires. Dr. Moles can make adjustments to the scans in real time, so you spend less time in the office and more time working towards a new smile. Traditionally, orthodontic offices have used putty impressions, which are often uncomfortable, inaccurate, and just plain messy. Sometimes, children can’t handle the gooey material and have sensitive gag reflexes, making it difficult to capture perfect impressions the first time. At our office, we’re proud to announce that the days of using bulky trays or sticky putty are gone forever! We’ve made the patient experience much smoother and comfortable with iTero Digital Impressions. With iTero technology, we’ll be able to capture a comprehensive model of your teeth and bite, in order to create an efficient and effective treatment plan. Dr. Moles will use a wand that easily and comfortably fits into your mouth, which he’ll rest over each tooth at a time. The wand will capture photographs of the shape and structure of your teeth, and submit them into the computer system. You’ll also be able to see the images of your teeth right away. Accuracy & Efficiency: iTero technology eliminates the need for the unpleasant putty impressions, that can often be rejected, unpleasant, and require multiple attempts. Your time in the office will be reduced with our incredible accurate scans. Easily Follow Your Treatment Progress: Dr. Moles can easily share the images of your teeth with you, improving communication throughout the treatment process and allowing you to see your orthodontic progress in real time. Better Patient Experience: More accurate impressions result in more efficient and effective treatment, whether you’re improving your smile with braces or Invisalign. Invisalign Compatibility: This revolutionary system offers unparalleled compatibility with one of our most popular treatment options, Invisalign. After we take your impressions, they can be sent directly to the lab, where custom aligners are made for you. This greatly minimizes treatment time, allowing you to achieve a confident and beautiful smile sooner than ever before. 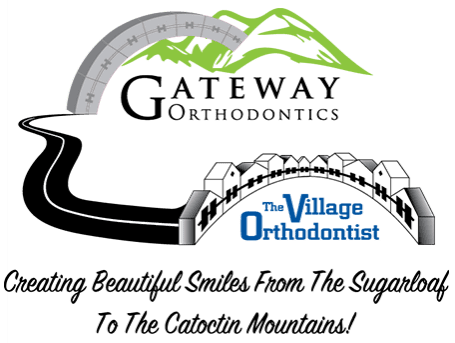 At The Village Orthodontist, we want to save you time and money over the course of your orthodontic treatment, whether it’s for your or your child. Our iTero scanner ensures that you spend less time in our office, and more time doing what you love.